"Some applications offer you a grace period before your password expires," Michel van Zoest wrote, "I think I'll leave instructions in my will to have one of my great-great-great-great-great-great-great-grandchildren change the password for my database in about 50539024859478222 years. If we survive the death of our sun, that is." 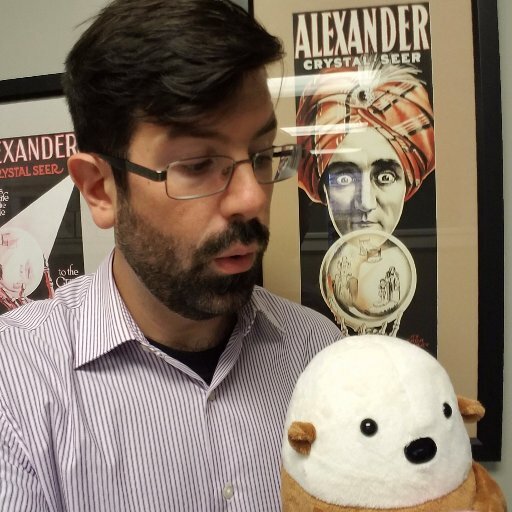 "Often my login will expire on my e-learning portal and I will receive a message that I must login again," Ross wrote, "logging in again produces the above error message." 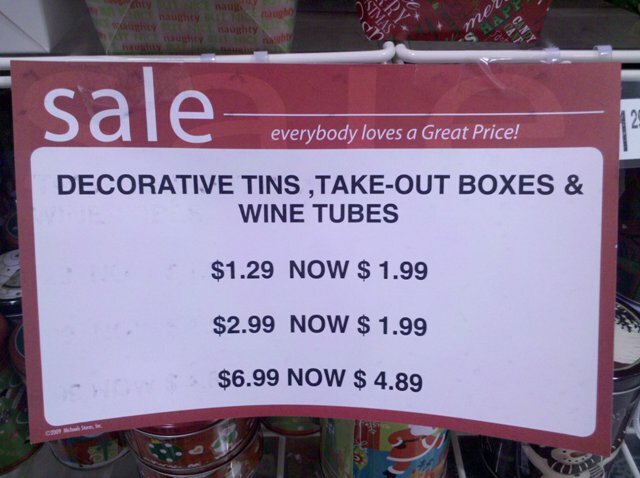 "I'm pretty sure they have the sale concept backwards," wrote Peter Senft. "I got this weird error message from my Chinese video recording software," Cosmin wrote, "setting aside bad grammar, how am I supposed to read it if my video card is not installed?" 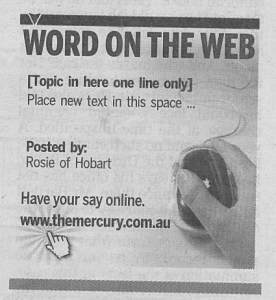 "The Mercury newspaper publishes selected 'reader comment' messages from their online site in the following day's print edition," notes Charles, "it seems they thought Rosie of Hobart's eloquent message was worth publishing... but forgot to actually paste her comment in." 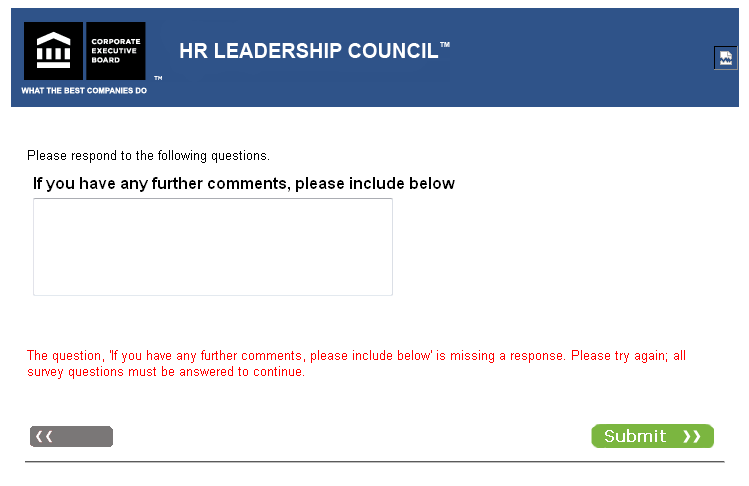 "This was the last page of the company survey we had to fill out," writes Chris Linstid, "apparently we're not allowed to not have any further comments." "When logging off a remote server, this message was displayed," Aleksander R. Rødner writes, "I clicked 'yes', but, in retrospect, I could just as easily gone the other way." 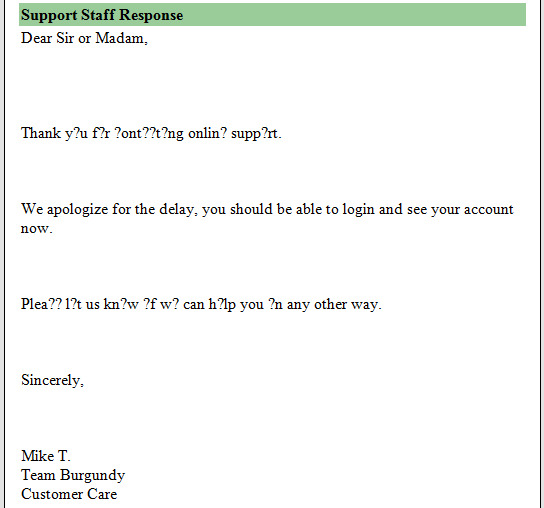 "I was trying to get answers from GoDaddy tech support," Jacob B noted, "but the response I got from their tech support seemed to just have a lot of questions." "Windows hates me!" writes LJ Earnest, "I've suspected it for years, but now I have proof."